is a Lebanese journalist and film critic. He is currently working for An-Nahar, the leading Arab daily newspaper published in Lebanon. 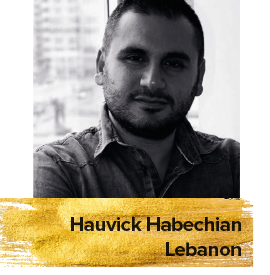 Hauvick started his career as freelance film journalist working with local and regional newspapers. He has also directed and produced TV programmes and documentaries about cinema for various Arab television networks. He attends numerous regional and international film festivals as a jury member and has participated in many audiovisual workshops supporting young students in Lebanon.